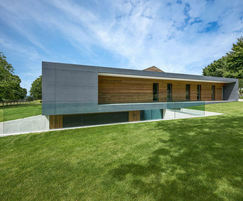 Cembrit supplied its Patina BBA-certified cladding for the extension of a rural home in the South Downs National Park to complement the building’s existing heritage. Throughout the years, the Farmer’s House has been subject to several alterations and extensions, and lacked a unified finish. 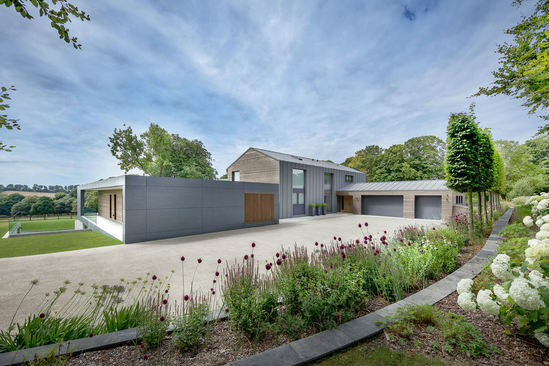 Award-winning RIBA-certified contemporary architectural practice, AR Design Studio, was approached to create an extension to accommodate family visits, whilst allowing the house to seamlessly blend with the surrounding features and grounds. The architect specified a wide variety of natural and man-made materials to complement the traditional geometry of the building. Though a Welsh slate finish to the building was desired, a more affordable alternative was sought, and after reviewing samples, Cembrit’s Patina cladding provided the perfect match. 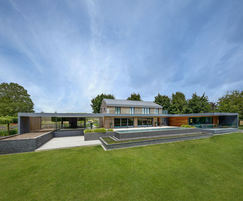 The combination of timber and fibre cement cladding results in an architectural, rural yet contemporary house. 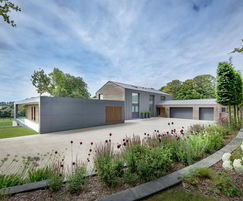 The Farmer’s House project was a finalist for the George Clarke Medal and was also shortlisted for the British Home Awards, the AJ Retrofit Awards and the London Construction Awards, as well as being a factor in AR Design Studio being a finalist in the Architect of the Year Awards. Cembrit Patina is an autoclaved, through-coloured board in 11 pastel coloured impact-resistant boards characterised by an attractive matt finish and a faint directional grain. During the production process, Patina undergoes a unique impregnation treatment, which effectively protects against water staining and dirt, ensuring that the façade retains its attractive appearance in both dry and wet weather conditions. Being homogeneous means edge sealing is unnecessary, a massive advantage where the project needs many cuts around openings and facade perimeters. The A2 non-combustible fire rating according to EN13501, make Patina ideal for new-build and over-cladding rainscreen applications. Variations of shade from sheet to sheet on Patina will assist in creating a natural looking façade. The sheets can be used for a range of applications, such as: rainscreen cladding, weatherboarding, window elements, fascia, balconies and prefabricated facade elements.